This bridal wear is one of the best combinations of simplicity and intricacy. The sweetheart neckline looks stylish making you look exquisite. They train of the bridal is marvelously embellished designed to make you look elegant. 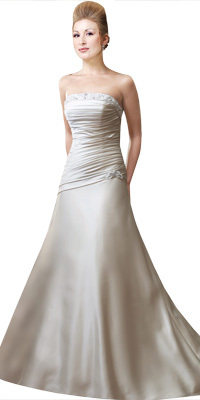 The pretty A-line structure from the gown is sure to increase your personality to the hilt.